With more than 450 million registered users worldwide, Alibaba’s payment wallet Alipay is widely used in China. The company is gradually expanding this service to other countries including markets in Southeast Asia, Europe and the U.S. In regions outside China, Alipay is looking to partner with merchants at which Chinese customers shop frequently while travelling abroad. However, attracting new customers in these countries is challenging, as Alipay competes with other payment services such as Apple Pay and Google Pay in western markets, while using digital wallets is not very common in many Southeast Asian countries. In order to attract more young users towards Alipay, Alibaba recently launched facial recognition technology to verify the identity of Alipay users and complete payments. Termed “Smile and Pay”, this technology uses a 3-D camera that scans a customer’s face to verify his or her identity and complete the payment. Alipay recently debuted this service at a KFC restaurant in the Chinese city of Hangzou. Alipay’s “Smile and Pay” technology is aimed towards the younger generation in China who might be attracted towards the convenience of using the digital wallet through facial recognition verification. This technology does not require users to carry a smartphone and depends solely on facial recognition of registered users of Alipay to complete the transaction. This convenient mode of payment and verification could help Alipay compete better with other digital wallets as it looks at global expansion. While Alipay is looking to expand globally with the goal of serving Chinese tourists as they travel abroad, the company is gradually expanding its footprint and is also aiming to attract foreign customers. Recently, Alipay expanded into South Africa and already has 10,000 merchants in Europe who accept payments via its digital wallet. 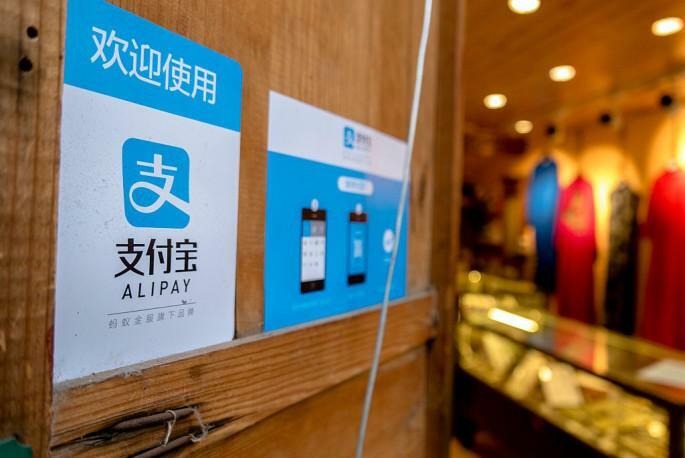 Alipay is aggressively expanding in Southeast Asian countries such as Singapore and Indonesia, and has made investments and partnerships in the U.S. to expand in the West. Growth in China is saturating and Alipay is facing competition from Tencent’s mobile payment solution in the region. Global expansion is key for its future growth. As Alipay looks to ultimately compete with Apple and Google in the mobile payments segment, innovative technology increasing user convenience can help the company build a competitive edge.